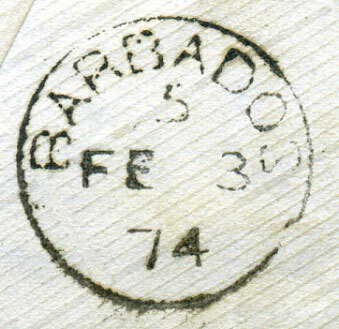 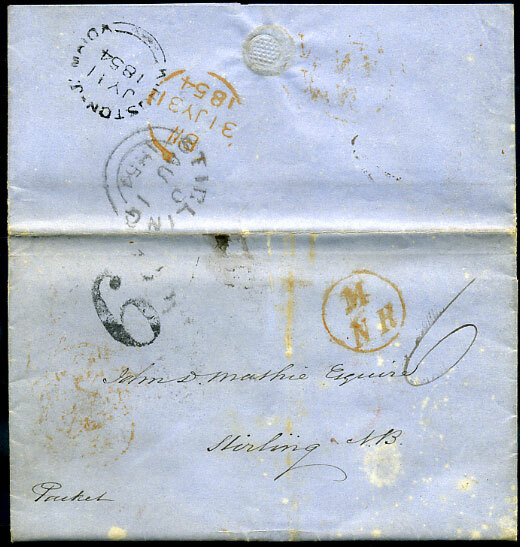 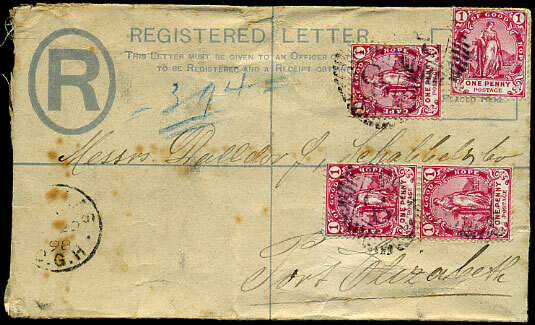 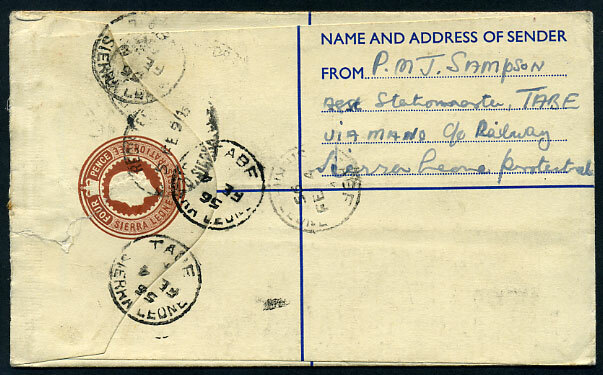 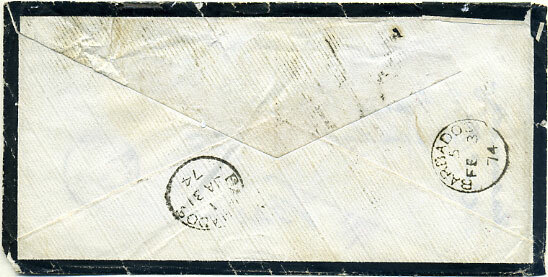 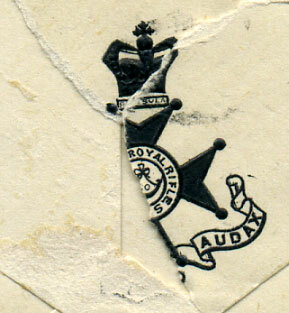 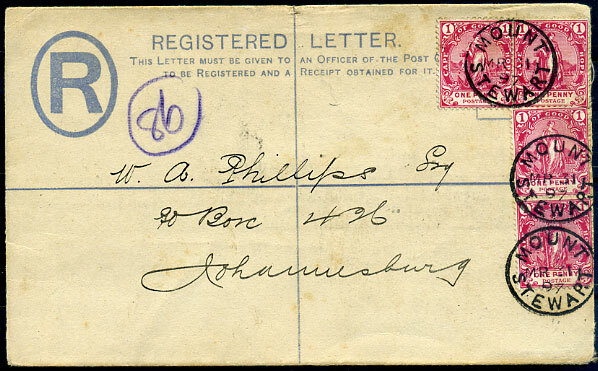 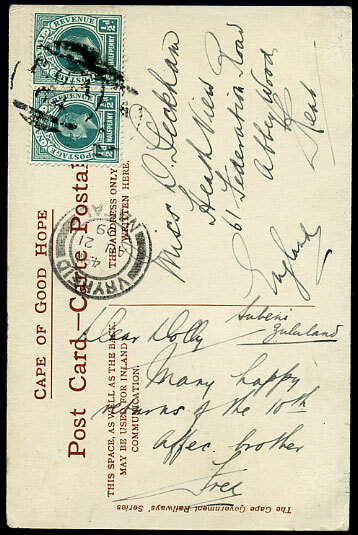 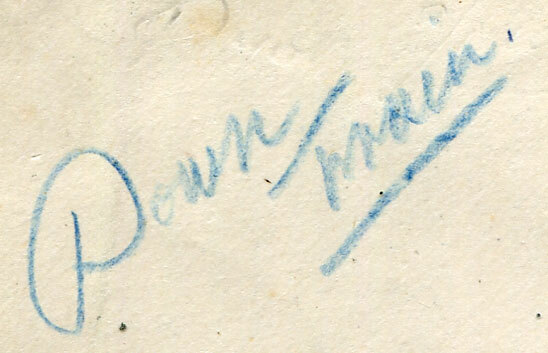 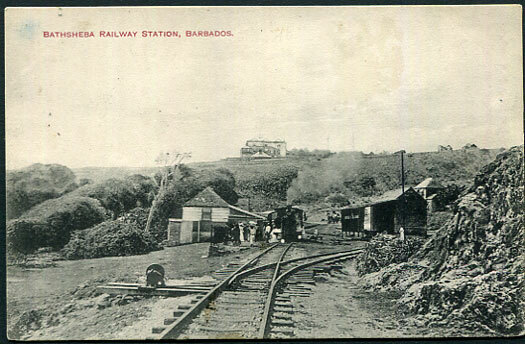 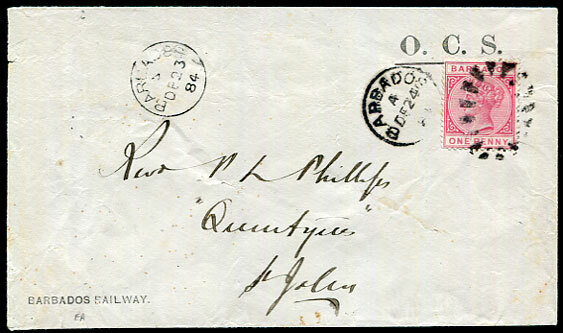 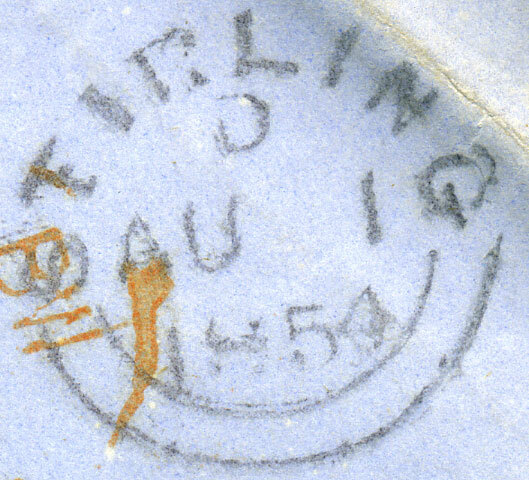 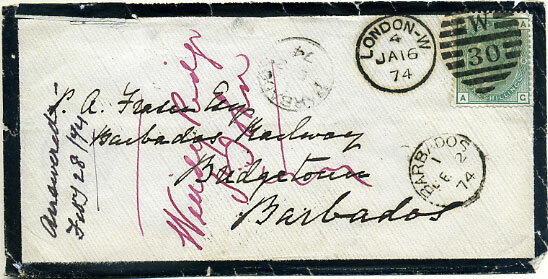 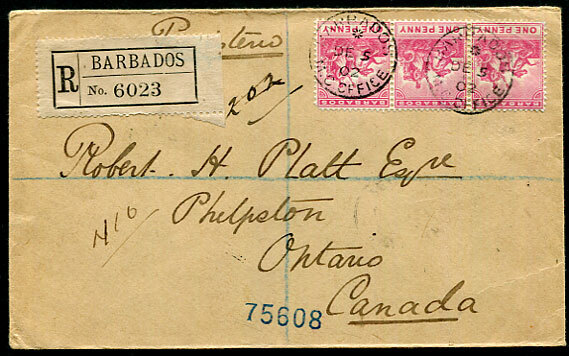 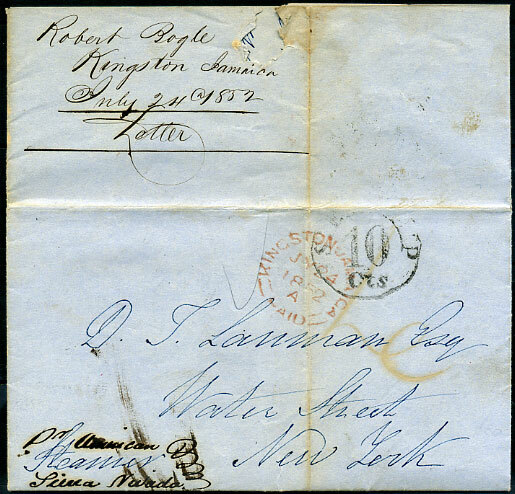 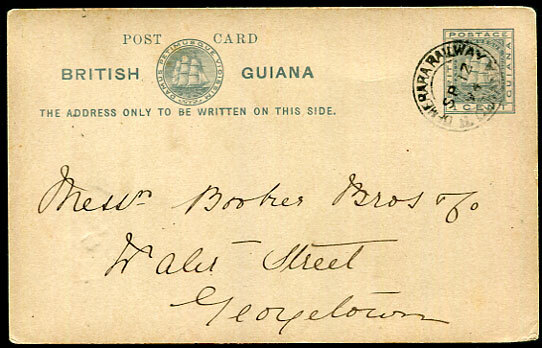 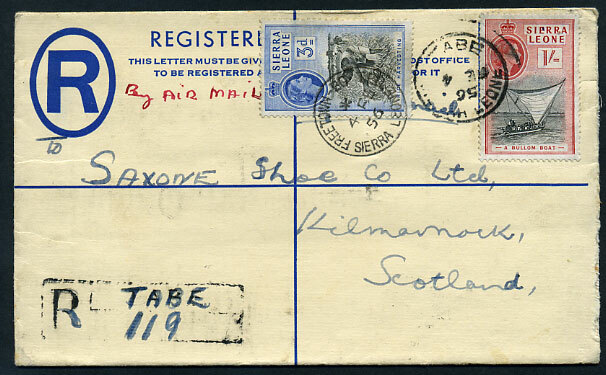 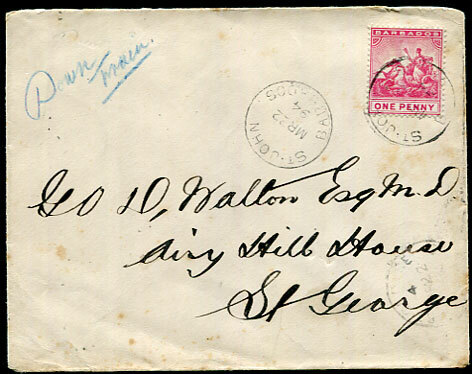 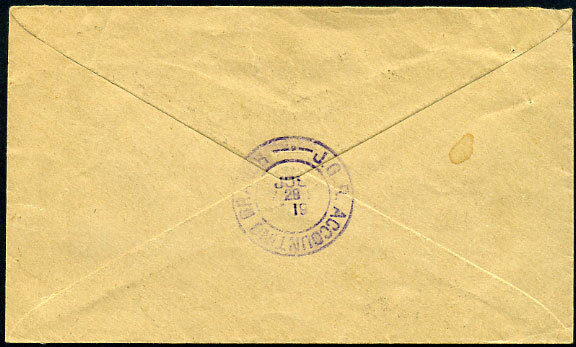 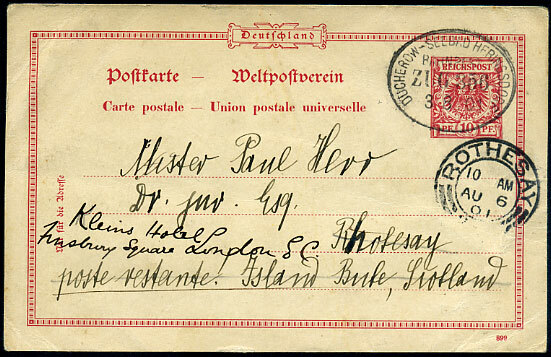 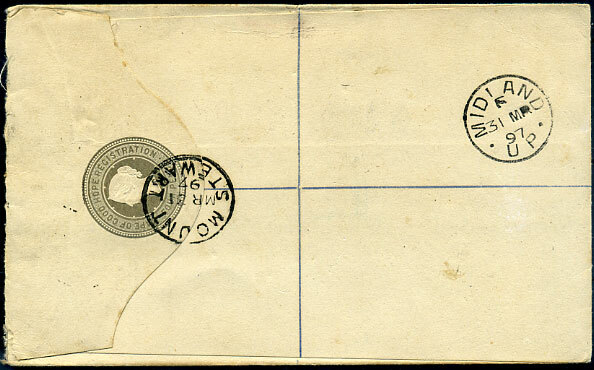 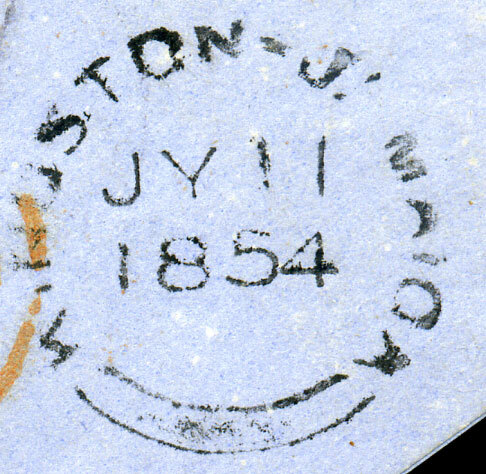 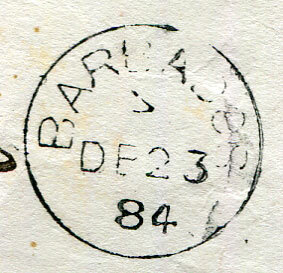 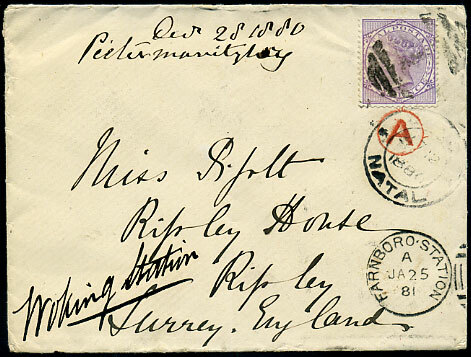 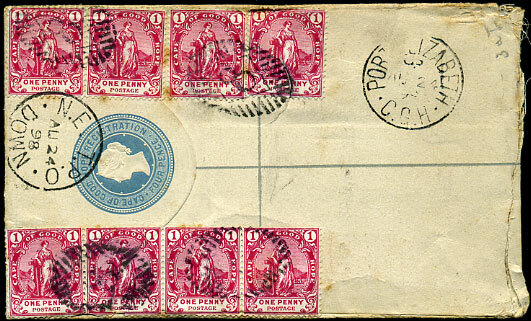 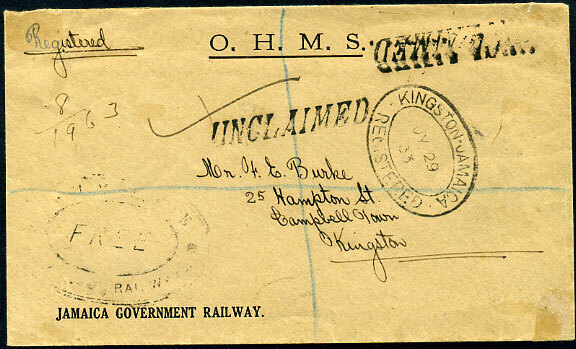 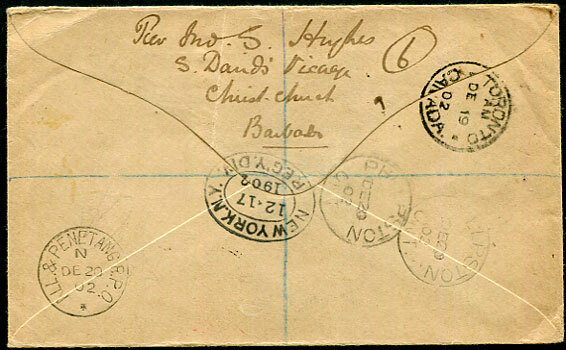 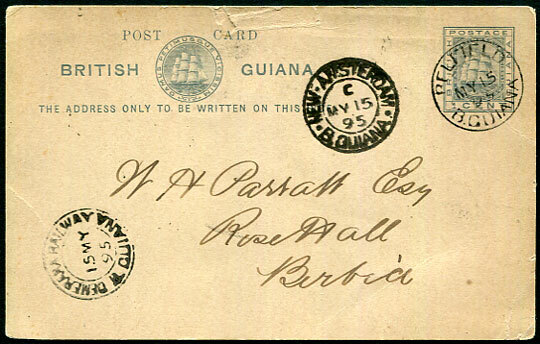 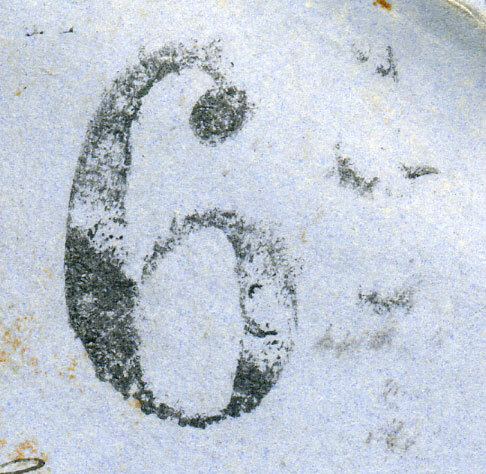 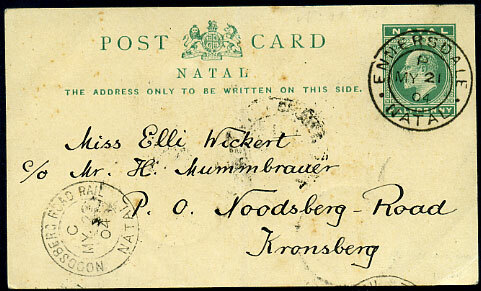 1894 cover marked blue crayon "Down Train" to Airy Hill House, St. George with 1d Seal tied ST. JOHN MR 22 94 showing ST. GEORGE 4/MR 22 94 arrival, backstamped Barbados A/MR 22 94, toned spotting. 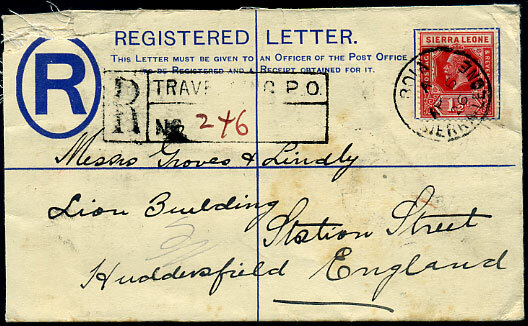 (Ex Tony Sheppard). 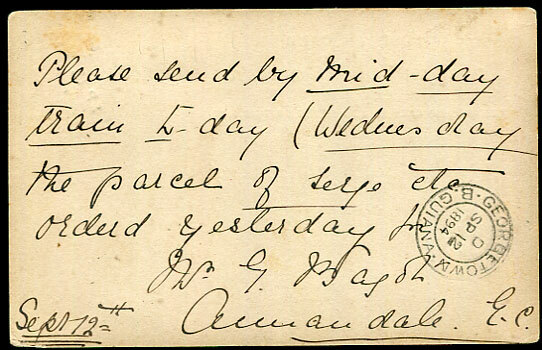 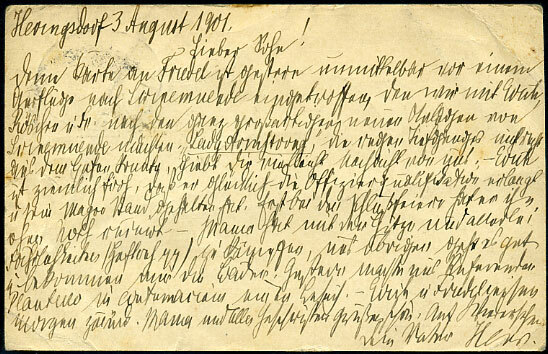 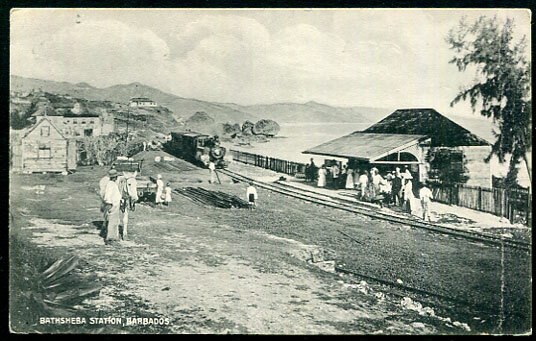 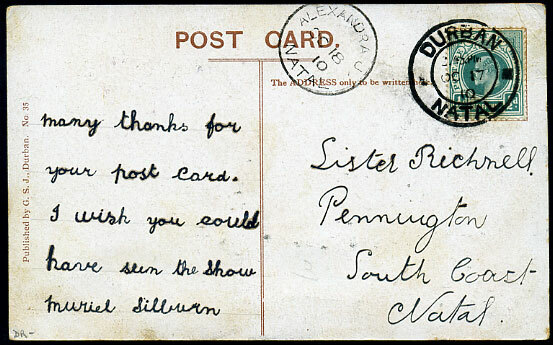 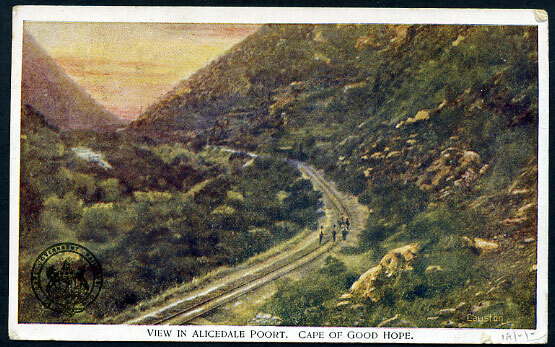 arrival dated C/MY 23 04 on KE7 ½d Post Card pmk'd Ennersdale P/MY 21 04, b/stamped Ladysmith and Pietermaritzburg.